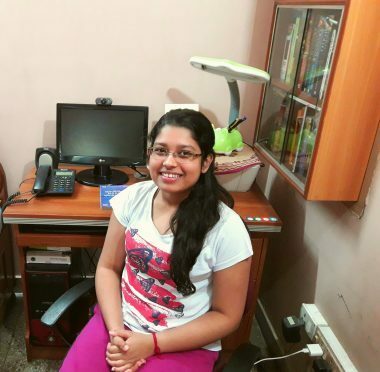 About the author: Akansha Rai, a student of Jadavpur University, shares with us her exciting venture into the world of microcontrollers. In December 2017, the head of the Electronics Department at my university forwarded an email to the students which stated that eTrans Solutions Private Ltd. was looking for an intern to work on its new NVR project. The organisation has a full-fledged embedded systems lab in Kolkata, where it designs GPS units and customises RF and ePOS technologies. It was the perfect opportunity for me to grab my first technical internship, so I requested the HOD to forward my resume. Once the initial screening was completed, a face-to-face interview was scheduled with the heads of the R&D and the Software & Firmware departments. There were moments during the interview when my nervousness kicked up, and I felt as if I was in an ancient Greek amphitheatre, not knowing which side the attacks would come from! They asked me all sorts of questions ranging from hardware to coding problems. They asked me which domain I would be interested to work in, and I expressed my interest in embedded programming. They inquired about my knowledge of C and C++ programming and asked me to write a few short pieces of code. They also asked questions related to analog and digital electronics along with electromagnetic theory. The interview went quite well, but a blow landed when they informed me that they wanted interns to join immediately. I was dejected because I was looking for a summer internship and thought that I’d have to search for another internship even though I had my heart set on this. I was certain that my dream of doing an industrial technical internship would have to be put on hold however, two days later, I got an email from HR saying that I’d been selected for their summer internship and I would be working on Sensor Integration in NVR. I waited eagerly for my semester to end; I was dying to be able to say, “I will be late for the office! Gotta go!” Finally, it was my first day, and I was experiencing a whole range of emotions by the time I reached the office. With mixed feelings of nervousness, excitement, and fear, I started my day with a PIC microcontroller that needed to be programmed. I drew a blank; I was just a second-year student who couldn’t even tell the difference between a microcontroller and microprocessor. I asked my manager for help and studied the concepts of microcontrollers the entire day. I tried to glean all the necessary information I could from the internet, and by the end of the day I successfully programmed PIC for LED blinking. I was the youngest person at work, and initially, I felt slightly awkward but everyone there was extremely warm and welcoming, so I settled in easily. During my internship, I was a part of several projects and had a concrete hands-on learning experience with the opportunities that the field of electronics offers. I worked on the GPS-IoT platform primarily and integrated the host of sensors (like temperature, humidity, infrared, pressure, etc.) to collect different parameters concerned with assets in various forms to improve and control the assets’ life cycles. I also tested a soil sensor which calculated the percentage of moisture in the soil. My final project was about interfacing a GPS Module with ARM Cortex. This internship made me proficient in working with PIC microcontrollers, ARM Cortex-M3, GPS Quectel L80 module, and smart cards. I gained a lot of knowledge about embedded programming and improved my skills as a C programmer. In fact, by the end of the two months of my internship, I was able to find the latitude and longitude of a place and track a person accurately. The work culture at eTrans was simply amazing. There was no work pressure and everyone was eager to help one another. I remember an instance when I couldn’t properly parse the GPS data on my ARM Cortex and I was working on a deadline. Seeing me struggle with this, the head of the IT Department helped me find the error in my code. The final week of my internship was incredibly emotional for me; I wasn’t willing to leave that environment but all good things do come to an end, and so did my internship. On my last day, the managing director offered me a PPO. Do you wish to have a learning experience like Akansha’s? Check out other electronics engineering internships here. You are sharing very nice blog for everyone and also sharing something special information, thanks for it. If you are willing to hire SEO Service In Delhi then you may visit our website and go through our plans. Its been happy to read such a article really awesome to read thanks for sharing us this article. Very impressive and interesting story. I like it the most. Thanks for sharing with.